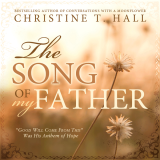 “Good will come from this.” Chris had heard her father repeat those words countless times as a child. As she grew, her father’s faith and optimism inspired her through many difficult times. 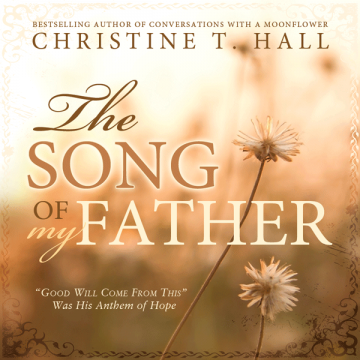 Despite the devastating fire that took her childhood home, and undergoing years of surgeries and convalescence, she learned to look for the good in everything – until something so horrific happened that Chris thought her father’s song had stopped forever. This uplifting true story will inspire you to have hope, even on your darkest days. This entry was posted in Books on November 21, 2014 by cedarfort. What on earth had just happened to me? It was a plant, for heaven’s sake! And with the exception of the bright yellow blooms, it looked more like a weed than anything you would purposely put in a garden. But this mysterious plant had captivated me, and I couldn’t wait to tell the others what I had seen. Chris’ life is anything but peaceful when she returns to Carraugus County to clean out her deceased grandmother’s home. But her life changes forever when an Amish woman invites her to watch a moonflower open. Chris never would have believed that a simple plant could lead her on such a remarkable journey — a journey that would remind her of truths she had long ago forgotten. This debut by Chris Hall is guaranteed to uplift and inspire long after the story ends. Once in a great while a book comes along at the exact moment you need it and changes your life. Let Conversations with a Moonflower be that for you as it has been for me. Thank you Chris. I will bloom as soon as I’m ready. Official website of Christine T. Hall, author of Conversations with a Moonflower and The Song of My Father. 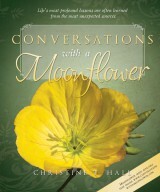 Conversations with a Moonflower and The Song of My Father is published by Cedar Fort, Inc.